NOW AVAILABLE: Eusi Kwayana’s The Bauxite Strike and the Old Politics. Order now and receive FREE SHIPPING! Just in from the printers today, this classic of Caribbean Labor and Political History is NOW AVAILABLE for purchase at our Online Bookstore. We couldn’t be more proud to feature Eusi Kwayana’s The Bauxite Strike and the Old Politics as our inaugural publication, and in celebration of our first release, we are offering free US shipping for all orders placed through our Bookstore this Labor Day weekend. This discount applies to all available AND pre-order titles. We would like to express our gratitude to Eusi and to everyone else who has made this project possible. 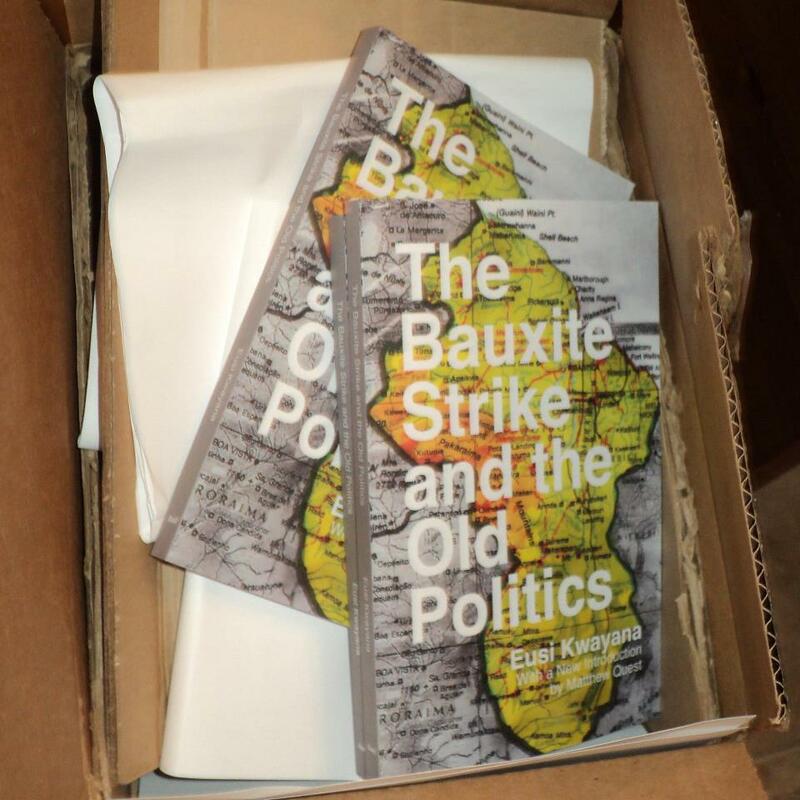 Please click here to order your copy of Eusi Kwayana’s The Bauxite Strike and the Old Politics and receive free shipping to anywhere in the US. Also, if you would like to support this and other projects, please consider making a donation. This entry was posted in New Releases, News and tagged black power, Caribbean history, Eusi Kwayana, Guyana, labor history, libertarian socialism, socialism. Bookmark the permalink.